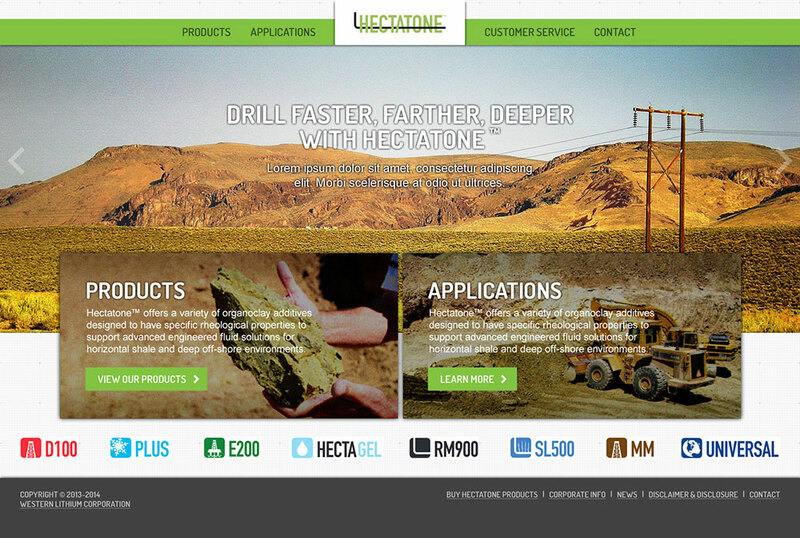 Hectatone is a subsidiary of Western Lithium, an energy company operating in the lithium and organoclay industry for drilling operations. 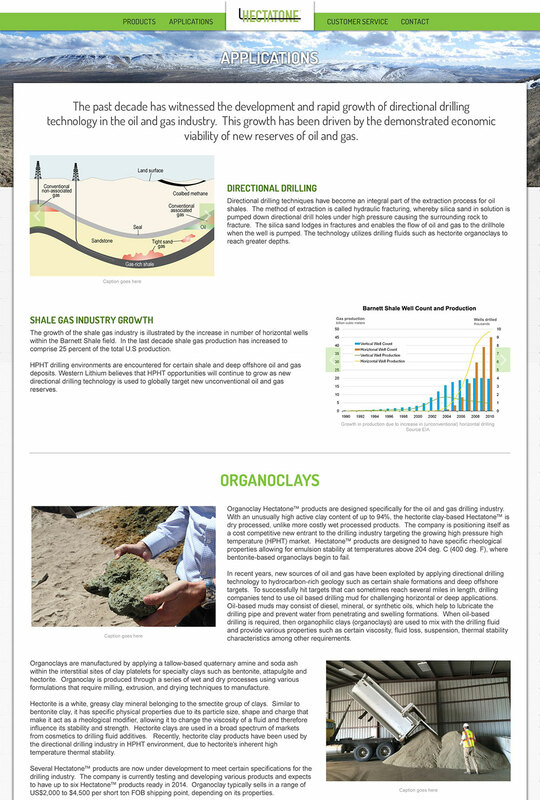 Hectatone needed an impressive site to not only describe what they were doing with organoclays, but also inspire confidence from investors and stakeholders alike. 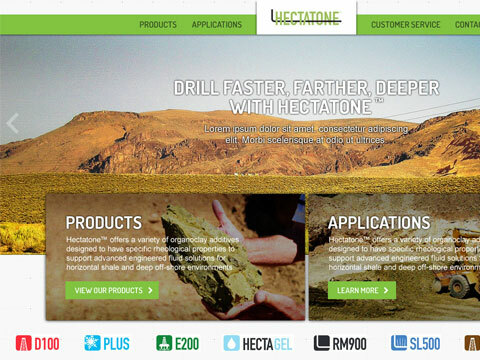 Hectatone's previous site used a simple default WordPress theme and wanted their new site to have more of a visual impact. 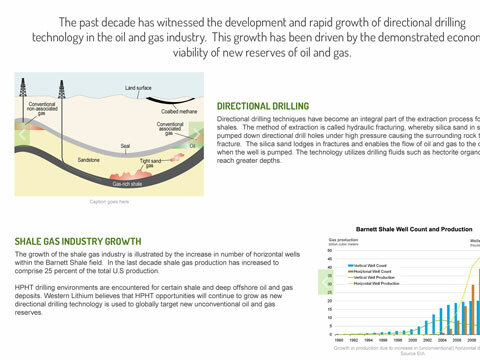 Images were used from their operations and mining sites were used to create a vibrant picture of their activities. Since the previous site was based off a WordPress default theme, the structure was very blog-like and not setup as a conventional website. A restructuring of the site navigation and contents was done to provide visitors with something more familiar and digestible. 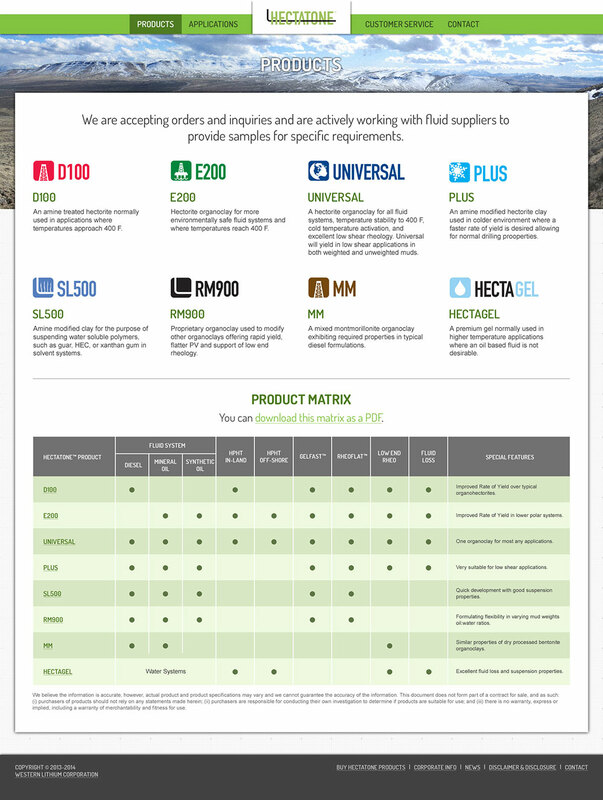 New landing pages and aggregation of content was done to simplify the exploration process. 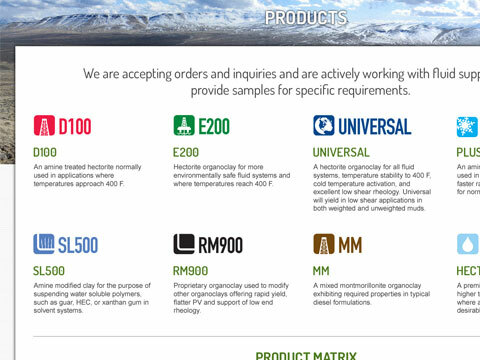 Hectatone's product line consists of drilling-additives, each with their own technical specifications. Previously, these specifications and data were hidden in a PDF which was required by the visitor to download. Key information was brought to the forefront in bullet form so that it was glanceable. Knowing that investors would potentially look up the Hectatone site from a variety of devices, a responsive design was implemented to ensure the site with all its new visuals and newly organized content would look great on any mobile device.